Official Memorabilia, in conjunction with the Collingwood Football Club, are proud to release the Sons of Collingwood Multiplayer Sportsprint. 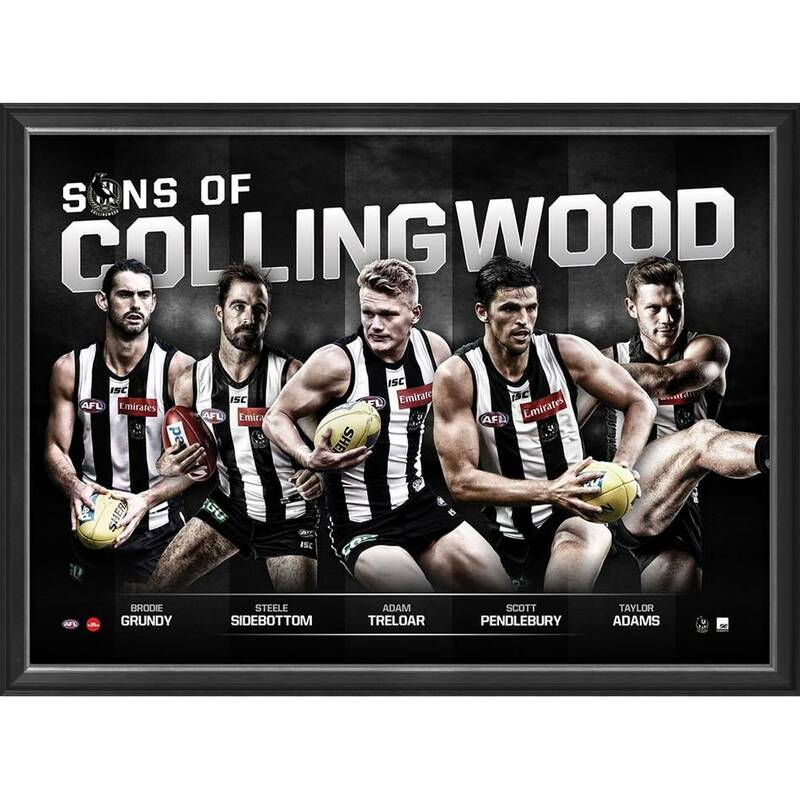 Featuring five of Collingwood’s most loved stars – Brodie Grundy, Steele Sidebottom, Adam Treloar, Scott Pendlebury and Taylor Adams – Sons of Collingwood comes officially licensed and endorsed by AFL and AFLPA. This beautifully presented sportsprint serves as the perfect gift for any Pies fan, so don’t miss out – secure yours before stock runs out!